Additional Info: China is one of the world's oldest continuous civilizations. It has the world's longest continuously used written language system, and the source of some of the world's great inventions, including the Four Great Inventions of ancient China: paper, the compass, gunpowder, and printing. China has the largest cycling population in the world, which is why it's a popular destination for adventure cyclists. Many tour companies offer organized tours where cycling is mixed with vehicle transportation to get you to some of the more remote locations. Beijing to Chengde Great Wall Bike Tour: The Great Wall of China is a series of sandstone and earthen fortifications in China, built, rebuilt, and maintained between the 5th century BCE and the 16th century to protect the northern borders of the Chinese Empire during the rule of successive dynasties. The Great Wall is the world's longest human-made structure, stretching over approximately 4,000 miles from Shanghai Pass in the east to Lop Nur in the west, along an arc that roughly delineates the southern edge of Inner Mongolia. Most tours here begin and end in Beijing, China's capital. Tours can range from 5-9 days. Most tours will cover cycling in Beijing (around Tiananmen, Mao Zedong's mausoleum, the Forbidden City, and so on) to get used to biking in China. The first leg of the cycle journey outside Beijing will be to the Ming Tombs and on to Badaling Great Wall site. The next stage is a 60-mile cycle to Huanghua for more natural settings away from the City. Make your way to Chengde, for the Imperial Summer Resort and many temples. Guangdong, a province on the south coast, offers a flat and rolling terrain with elevation ranging from 300ft to 600ft, considered an easy to moderate cycling level. South China - Guangzhou (Canton) to Guilin Bike Tour: In Guangzhou, before heading off, check out a Pearl River Boat Tour at night. 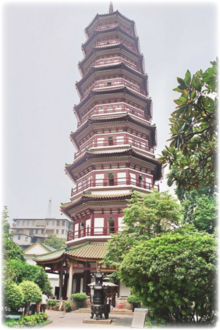 Next cycle to Sanshui and visit the Sanshui Forest Park (approx 60 miles bike ride), then to Lubao Ancestral Temple in Qingyuan (80+ miles), then to Jiulong (79 miles), Yangshan (78 miles) where you can see the Yingxi Mountains and a pagoda. After this, cycle 71 miles to Liannan for Huangchuan Three Gorges, Yao Autonomous Region and Yao Minority Village. Heading into the Guangxi Province, next you can cycle and take transportation over to Hezhou (a rough section of road lies in your path here). At Zhongshan, you can enjoy the Karst Hill Scenery with a 116-mile cycle ahead to Yangshou where you can visit a Confucian Temple. The final 66 mile cycle brings you alongside the Li River and into Guilin. Guilin is one of China's most picturesque cities situated in the northeast of the Guangxi Zhuang Autonomous Region of China on the west bank of the Lijiang River (also called the Li River). So many places to head away to if you want to trek in China! Below is a summary of some of the popular tours available, although many do trek without a tour guide. 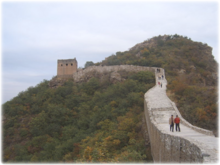 Trek along the Great Wall - A popular tour is along the Great Wall in China's Middle Kingdom. Starting from Beijing, trek to Huangyaguan then climb "Heaven's Ladder" and follow mountain ridges and the Great Wall to a small village for an overnight stop. Hike through rich fertile valleys, and then from Jinshanlin along side a well-preserved section of the Great Wall. Continue on with beautiful mountain views around you in Simatei. Most tours include transfers within the trek route from area to area, as required for safety or for best trekking routes. The Great Wall is nothing like a trail, although there is a clearly worn path along it. There are no switchbacks and no contours, no respite. In some places, the path is so close to vertical that it's practically a ladder of stone. Trekkers can camp alongside the wall or overnight at adjacent farmhouses. The best plan for hikers wanting to go this alone (without a guide or tour) is the rugged six-mile stretch between Jinshanling and Simatai, 55 miles northeast of Beijing. Taxis are easy to arrange in the capital to either site. Plan on taking at least four hours for the walk: The trail is stony and notoriously steep. Leaping Gorge is a canyon on the Yangtze River is 40 miles north of Lijiang City, Yunnan in southwestern China. Around 10 miles in length, the gorge is located where the river passes between 18,360ft Jade Dragon Snow Mountain and Haba Xueshan in a series of rapids under steep 6,500ft cliffs. Legend says that in order to escape from a hunter, a tiger jumped across the river at the narrowest point, hence the name. River Rafting - the Yangtze River. 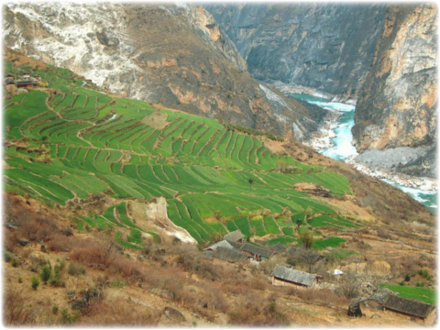 Beginning at Tiger Leaping Gorge, you can raft through canyons that make the Grand Canyon look almost tiny. With rafting levels at class IV to V, this experience will be one of the most remarkable you will have. Guides run a rafting trip lasting 4-5 days, running 120 miles of the Great Bend providing a spectacular whitewater experience, with about a dozen Class IV rapids, including some fun Grand Canyon-style wave trains. Fascinating cultural encounters with the Naxi people, descendants of Tibetan traders and the area's dominant ethnic minority, are a terrific bonus. 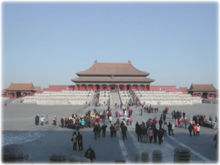 China has a plethora of world famous cultural sights, of which just a few are detailed below. One can travel the sights alone or join an organized tour. If you go alone, don't forget to obtain a China visa before leaving your home country. A Chinese visa is a permit issued by Chinese visa authorities to non-Chinese citizens for entry into, exit from and transit through China. 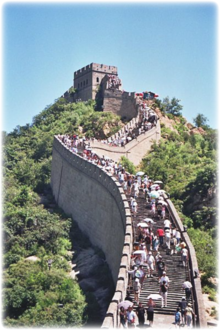 The most popular type of China visa is an L visa, or "tourist visa". Great Wall - the world's longest human-made structure, stretching over approximately 4,000 miles from Shanghai Pass in the east to Lop Nur in the west, along an arc that roughly delineates the southern edge of Inner Mongolia. It is also the largest human-made structure ever built in terms of surface area and mass. The Ancient Tombs at Longtou Mountain are a collection of twelve burials for royalty of the Balhae (Bohai) Kingdom. It is located on the Longtou Mountain, southeast Toudao Township, Helong County, Yanbian Korean Autonomous Prefecture, Jilin, China. The most famous of the burials is the Mausoleum of Princess Jeong-Hyo (Zhenxiao). Tiananmen Square is the large plaza near the center of Beijing, China, named after the Tiananmen (literally, Gate of Heavenly Peace) which sits to its north, separating it from the Forbidden City. It has great cultural significance as a symbol because it was the site of several key events in Chinese history. Outside of China, the square is widely known for the Tiananmen Square protests of 1989. The Forbidden City - the Chinese imperial palace from the mid-Ming Dynasty to the end of the Qing Dynasty. It is located in the middle of Beijing, China and now houses the Palace Museum. For almost five centuries, it served as the home of the Emperor and his household, and the ceremonial and political center of Chinese government. The Forbidden City (literal meaning: "Purple Forbidden City") is located at the exact center of the ancient City of Beijing. It is listed by UNESCO as the largest collection of preserved ancient wooden structures in the world, and was declared a World Heritage Site in 1987. The Imperial Palace grounds are located directly to the north of Tiananmen Square and are accessible from the square via Tiananmen Gate. The Jade Buddha Temple is a Buddhist temple in Shanghai, China. As with most modern Chinese Buddhist temples, the current temple draws from both the Pure Land and Chan traditions of Mahayana Buddhism. It was founded in 1882 with two jade Buddha statues imported to Shanghai from Burma by sea. These were a sitting Buddha (3 tons), and a smaller reclining Buddha representing Buddha's death. The temple now also contains a much larger reclining Jade Buddha, donated from Singapore, and visitors may mistake this larger sculpture for the original, smaller piece. The Silk Road, or Silk Route, is an interconnected series of ancient trade routes through various regions of the Asian continent mainly connecting Chang'an (today's Xi'an) in China, with Asia Minor and the Mediterranean. It extends over 5,000 miles on land and sea. Trade on the Silk Road was a significant factor in the development of the great civilizations of China, Egypt, Mesopotamia, Persia, Indian subcontinent, and Rome, and helped to lay the foundations for the modern world. Cities along the Silk Road include: Chang-an, modern day Xian, Lan-chou (Lanzhou), Tun-huang (Dunhuang), Lop Nor, Karashar, Kucha, Kashgar, Tashkent, Samarkand, Bukhara, Bactra, Khotan, Niya, Merv, Hecatompylus, Hamadan, and Bursa. The Terracotta Army or Terracotta Warriors and Horses is a collection of 8,099 life-size Chinese terracotta figures of warriors and horses located near the Mausoleum of the First Qin Emperor. The figures were discovered in 1974 near Xi'an, Shaanxi province, China. In 1987, UNESCO added the Terracotta Army and the Tomb of the First Qin Emperor to the list of the World Heritage Sites. The Terracotta Army was buried in battle formation in 3 vaults, 1 mile east of the tomb of the Emperor, which is 20 miles east of Xi'an. The three vaults, measuring 13-26 feet deep, have been excavated and a museum set up on the ruins, called Xi'an First Qin Emperor's Terracotta Army Museum. Vault One was opened to the public in 1979, and the whole museum was completed in 1994.